Music activities have been a part of preschool and kindergarten programs for years. Even though we traditionally think of singing, there is so much more to music than just singing. Music appreciation, listening, instrument playing, instrument construction, movement and composing songs and melodies are just a few elements of a music curriculum and fun for your students. Music is inseparable from other learning; it is interwoven into the fabric of life. Music is a part of us – it’s related to family, home, pets, seasons, travel, holidays, food, and much more. Share the following songs and try the activities for added enjoyment. 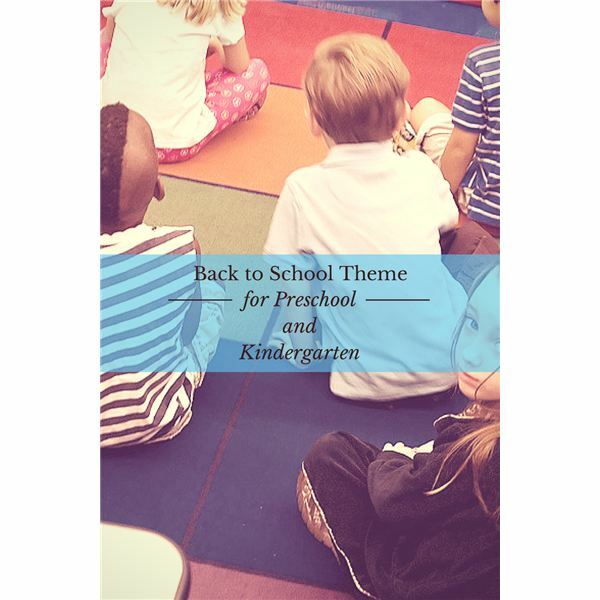 These songs relate to a back to school theme. ‘Round and ’round, ’round and ’round. You can dramatize this song in the classroom by appointing children to play the individual parts listed in the verses. Invite four children to be the wheels, one child to be the bus driver, two children to be the windshield wipers, one to be the horn and several others to be the riders going “up and down” and so on until all verses have children to imitate the actions. Place children in a large space to pretend to be a life-size bus. Children can perform the suggested motions while one or all of the children sing their parts. On a heavy sheet of art paper, draw the shape of a bus (one for each child). Older children can trace a bus shape onto paper themselves. Glue on wagon-wheel pasta for the tires and pieces of black pipe cleaners for the windshield wipers. In the windows, paste magazine pictures of children or your students can draw pictures of themselves and their classmates. On a larger scale, make a bulletin board showing a large school bus. Glue a photo of each student in the bus windows. Use a digital camera and print out the children’s photos or ask parents to send some from home. Peanut butter, peanut butter, jelly, jelly. First you take a peanut and you smash it, you smash it. Then you eat it! Mmmmmm! Mmmmmmm! Challenge the children to act out the chant. Pretend to smash peanuts and make sandwiches. Shell whole peanuts and use the shells for art and the peanuts for homemade peanut butter. Have the children glue the peanut shells onto cardboard to make designs. Paint these with tempera paints in a rainbow of colors. To make fresh peanut butter for a snack, blend 1-cup of peanuts with 1/4 cup peanut oil in an electric blender or food processor. Invite the children to spread this mixture on one slice of bread and add their favorite jelly on the other. Children can use plastic knives. Cut in squares or triangles and enjoy this snack together. Note: Make sure to ask parents if any children have peanut allergies. This craft, while simple, leads to discussions on different flavors of jelly and why this sandwich is a favorite of children. Have each child cut two bread shapes from white paper. Invite them to color the first slice with light brown crayons to represent peanut butter. The other slice of bread should be the color of the child’s favorite jelly. Attach the two slices of bread like a sandwich with a brass fastener. Three lights shining, oh so bright. Yellow slow, red stop you know. Draw a traffic light on paper for each child. Have the children use crayons or construction paper cutouts to fill in the colors in the correct order (red, yellow, green). Add a craft stick handle and use this prop to help dramatize this song. To make an edible version, spread cream cheese, vanilla frosting, or Nutella chocolate spread on a graham cracker strip. Place M&M candies in the same order of the traffic light. Makes a fun and educational snack. Make two parallel lines, at least 25-feet apart. One line is the starting line, and the other is the finish line. One child is chosen to be “it” and stands on the finish line. The rest of the children stand behind the starting line, facing the finish line. “It” turns his/her back to the players and begins to count to three loudly so that all can hear. While “it” is counting, the players move toward the finish line by making large steps forward. This is “Green Light” time, but players must stop moving when “Red Light” is called. At the conclusion of the count, “it” calls out “Red Light” while turning around quickly. Anyone caught moving by “it” must return to the starting line and begin again. The first player to tag “it” at the finish line is now the new leader. All the other children return to the starting line and the game starts again. Use this game in imaginary play where the children can pretend to be cars in traffic and that “it” is a police officer. Make music part of every day. Not only will you hear the adorable voices of your students, but maybe little giggles along the way. Enhancing music through artwork and games reinforces literacy skills in a fun and relaxed manner. The songs and chant are traditional with authors unknown. Photo of traffic light cookie by Tania Cowling.